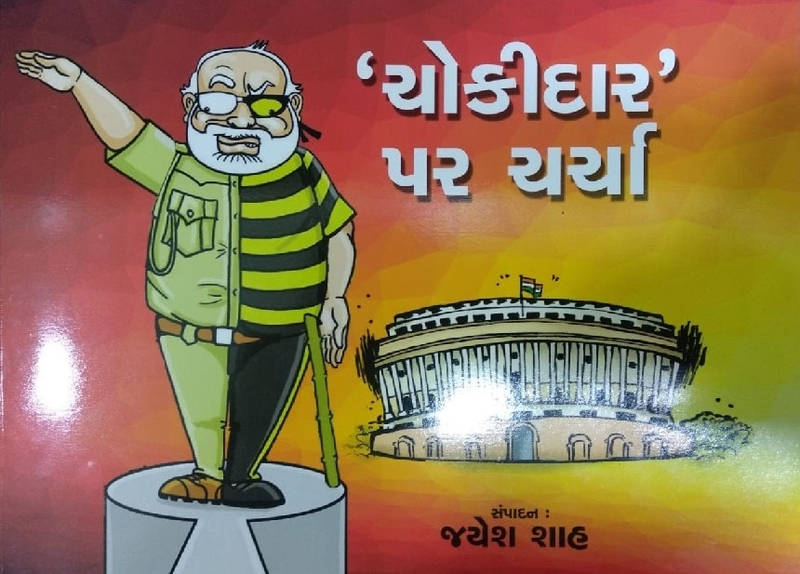 Congress Leader Jayesh Shah is written one more book on Prime Minister Modi ‘Chowkidar Pe Charcha’ whichis published in hindi and Gujarati Language. In this booklet, satirical cartoons have been made in respect of the various schemes of the Modi government and the advertisements he has made. Earlier he had written books like ‘Achchhe din’ and ‘Fekuji have Dilli Ma’ (Bluff Master Now in Delhi). A book is having such achchhe din in Gujarat that two attempts have been made to ban it, although unsuccessfully. Fekuji Have Dilli Ma and it's English version, Bluff-master Now in Delhi, are apparently selling like hot cakes in Gujarat and even outside, with translations in the four south Indian languages in the offing.